Crema Mocha Light Interlocking Polished. 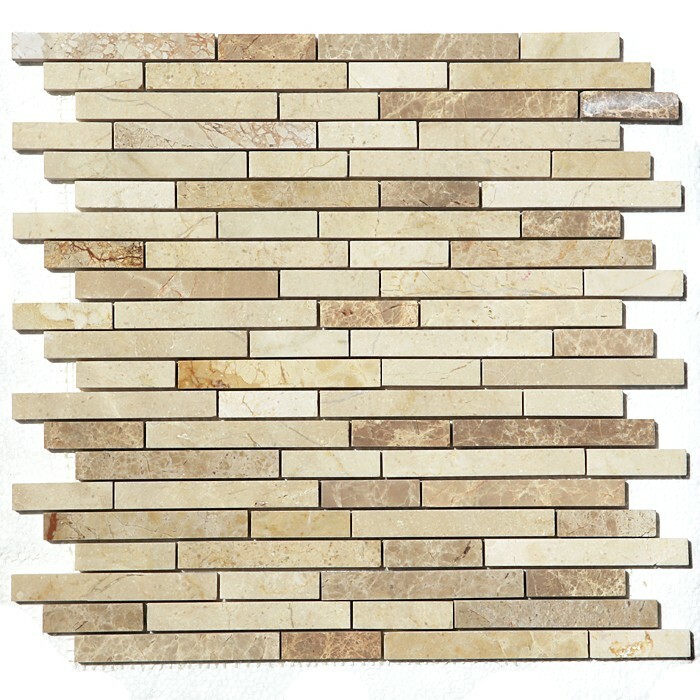 SOLD BY BOX OF 10 TILES / 10 SQ FT.
Crema Mocha Light Blend with a mix of Emperador Light and Crema Marfil marble Polished interlocking 12 in X 12 in mosaic is beautiful cream marble from Turkey available in polished tiles for indoor uses in commercial and residential properties. Shades of brown and beige add dimension to the cream background.